1. 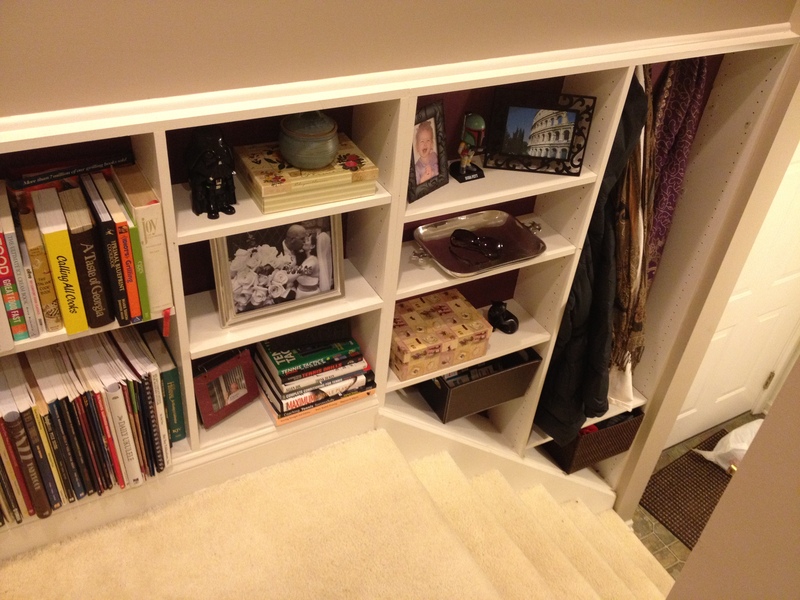 I updated the built-in bookcase. 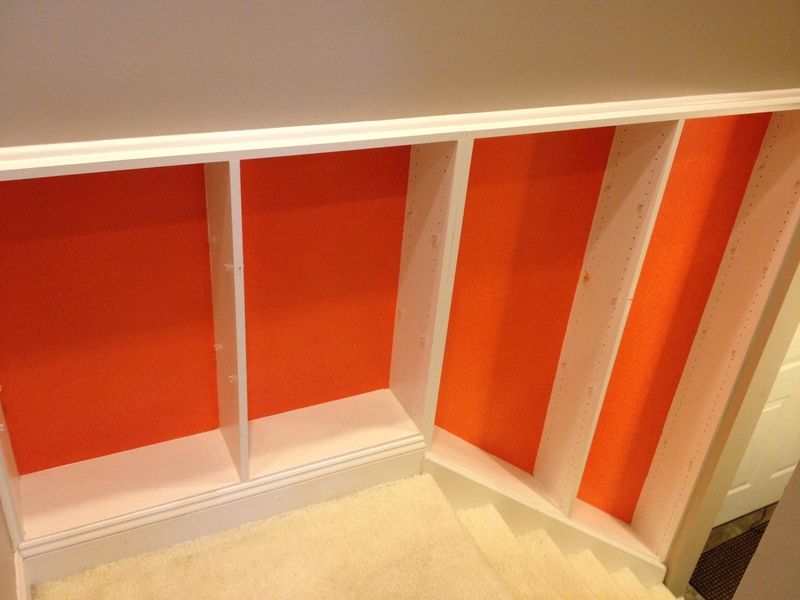 Goodbye hideous, ill-advised orange (seriously, people who lived here before, what were you smoking? ), hello elegant plum fabric which I bought for $6 from an antique/junk mall and hot-glued to the wall. 2. I unpacked the rest of our stuff. In my last place all this stuff went in an office closet, but now it has to sit out in the open on shelves. I am ruminating on a plan to create a lot of storage by refinishing some old dorm dressers from the university’s salvage store, but that’s another story for another day. Come stay at the Faulkner Hotel. 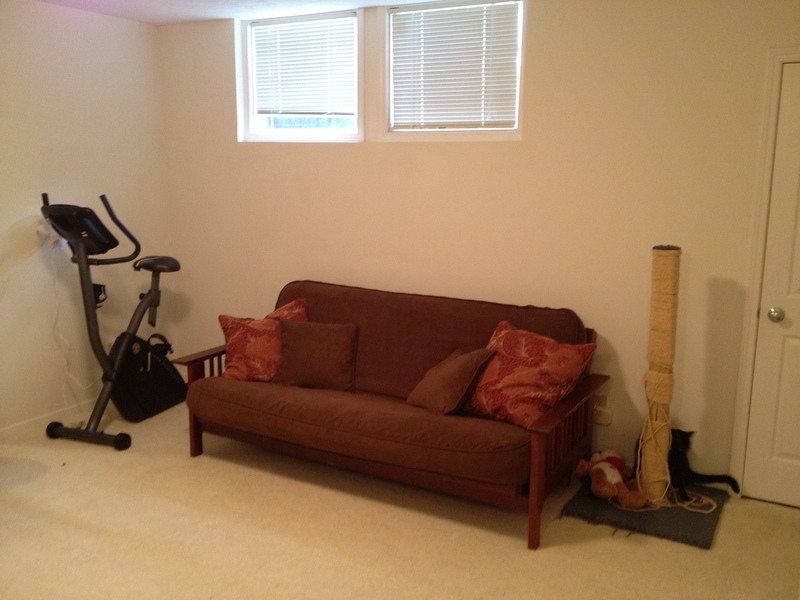 Comfy futons and free gym access available. Piglet (lurking by the scratching pole) might walk on your face in the middle of the night, but no biggie. 3. 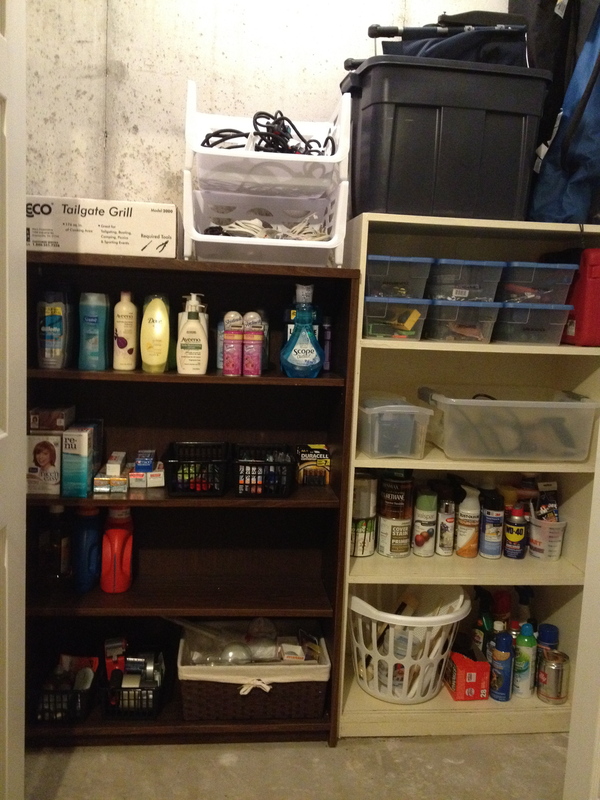 I organized the garage closet. Oh, couponing stash, how I’ve missed gazing on your orderly beauty. Also, my tools and hardware and paint supplies are all much more neatly put away now that I have all this extra space in the garage. It makes me want to, like, build a million things. Right now. This is our first garage ever. I’m thinking it means I can finally get a table saw! 4. I re-organized the cat closet. When we first moved in I threw the cat box down here and that was about it. Now I’ve set up a feeding station and a litter area way at the back (these are weighty issues if you have four cats) plus some extra storage. Husband thinks it’s dreary, but I think it’s quite cosy, and honestly, it’s not as if cats really give a crap about where they…well, you know, crap. 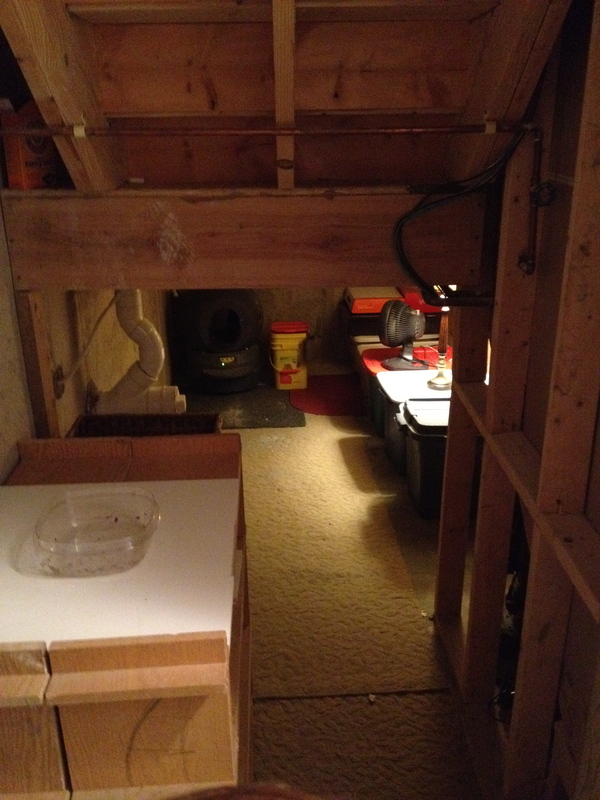 Harry Potter wishes his cupboard under the stairs was as roomy and well-arranged as this cat dungeon. 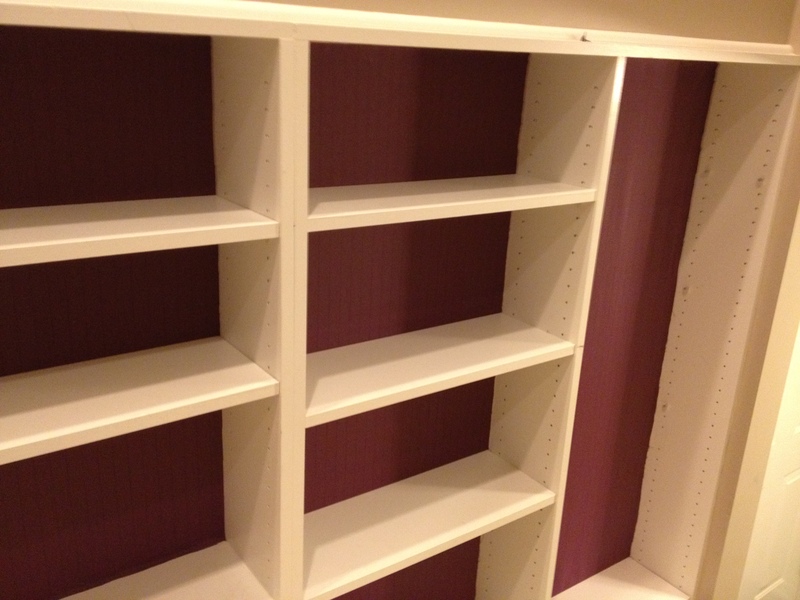 Erm, closet. 5. I made this lamp. I can just hear you. You’re all, “WHAT?! She made that?” I know. 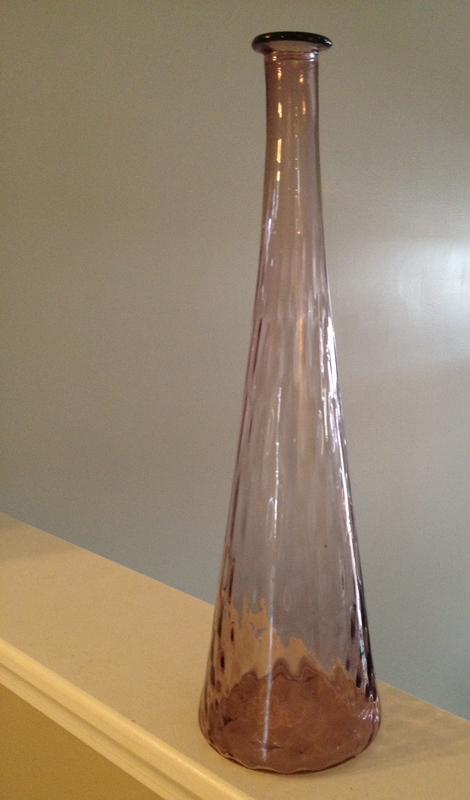 I bought this vase from an antique store for I think $8, can’t remember. Throw in a special glass drill bit ($12), a bottle-adapter lamp kit ($10), and a harp ($4), and voila! 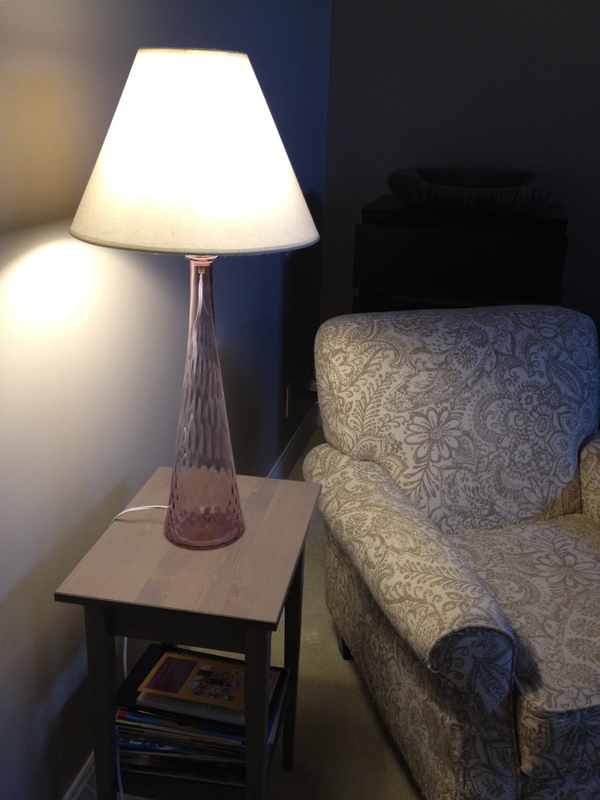 Easy-peasy one-of-a-kind super chic lamp for $34. 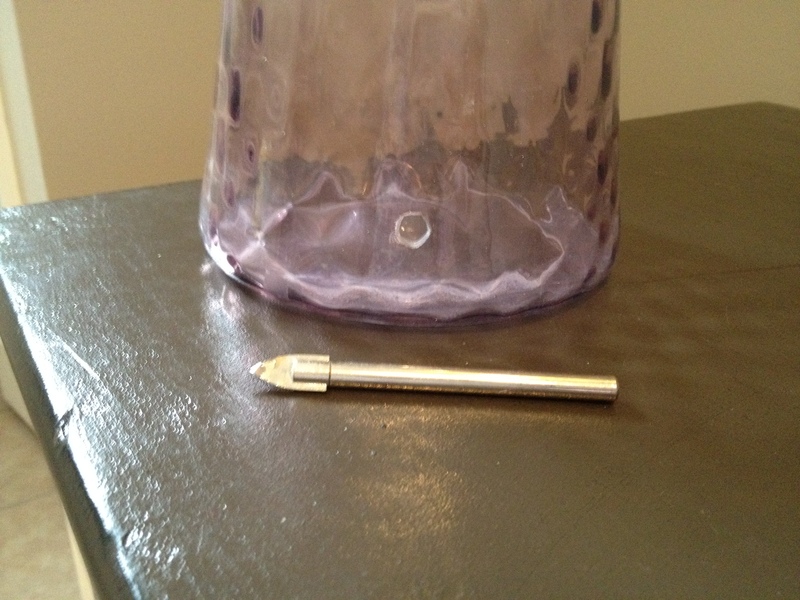 Well, it was mostly easy—it did take FOR-GAWDHELPUS-EVER to drill that hole in the vase. I spent probably 30 minutes holding the drill to the spot. It’s a wonder my teeth didn’t shake out. A 3/8 glass and tile drill bit made a perfectly sized hole. I feel like Pygmalion right now. 6. 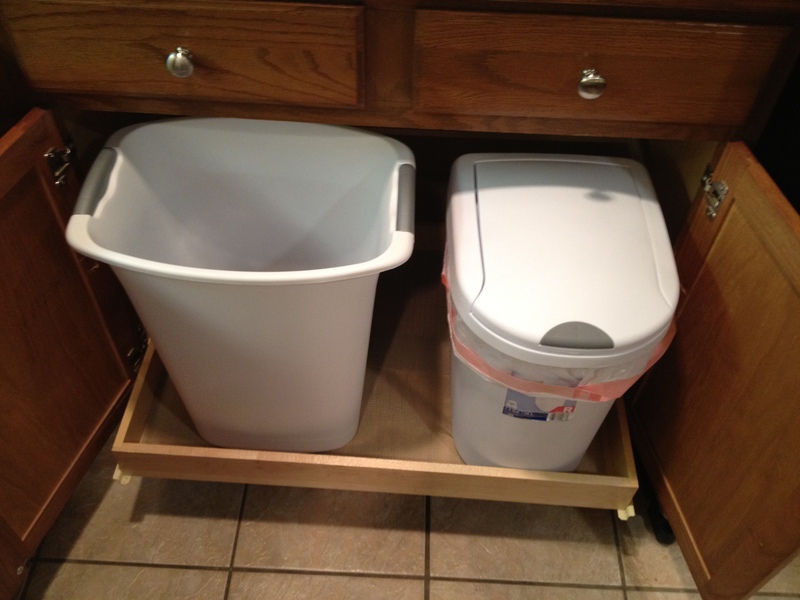 I set up a new trash/recycling system. Tyler and I found out that Lansing offers a really great, totally free, no-sorting-necessary recycling program, so I wanted to get jiggy with it, as it were. Problem: I didn’t want two trash cans in the already small high-traffic area where the original can lived. Solution: I had to shift around a lot of stuff in the kitchen, but I managed to clear out the one cabinet we have with a slide-out drawer. I put two smaller trash cans in there and now the kitchen is less crowded, plus I feel like I’ve practically saved the planet. I had to take this picture five times because Cricket kept climbing in and out. Cabinets are like crack to her. 7. I put up some holiday decor. Easter approacheth! 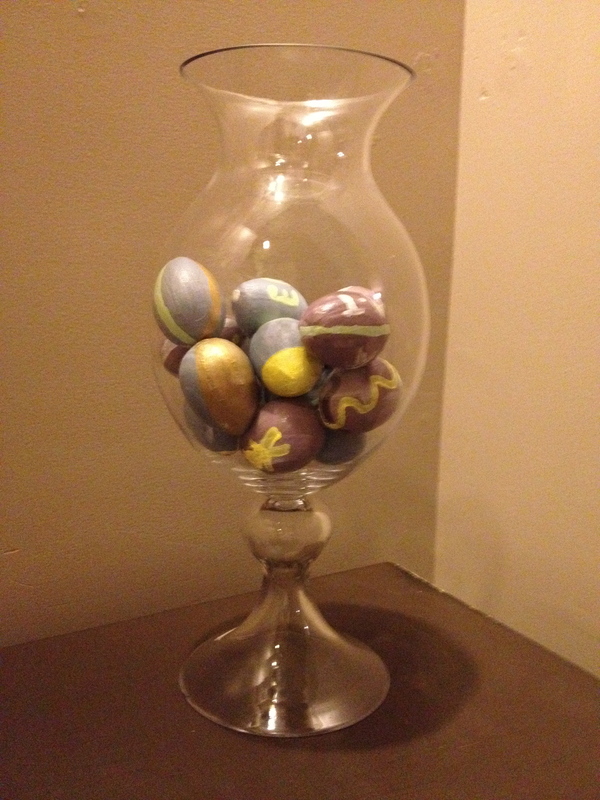 I wanted some Easter cheer for my mantle so I painted these cute little eggsters with help from the husband. 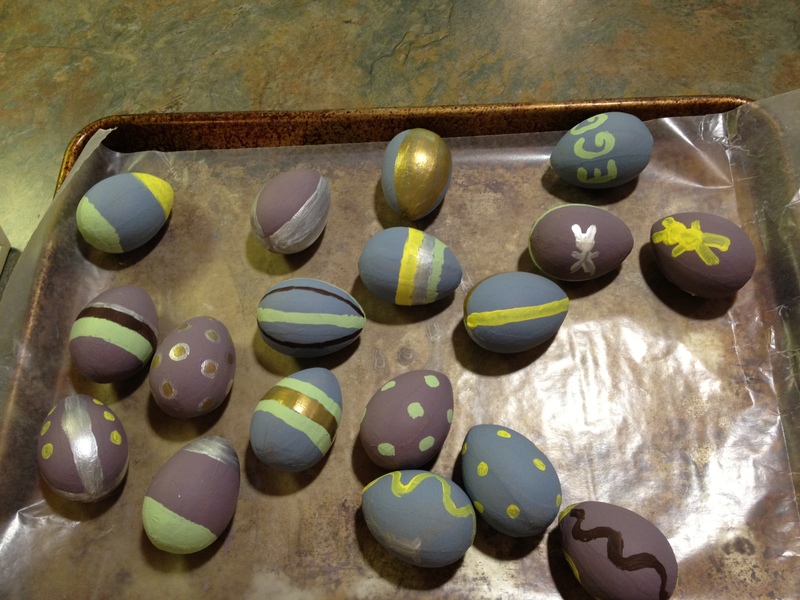 Do you see the one that says “EGG” on it? Yeah. That’s one of his. My color palette was fairly limited due to some of my acrylic paints having turned into disgusting sludge. This vase is another antique store find. 8. 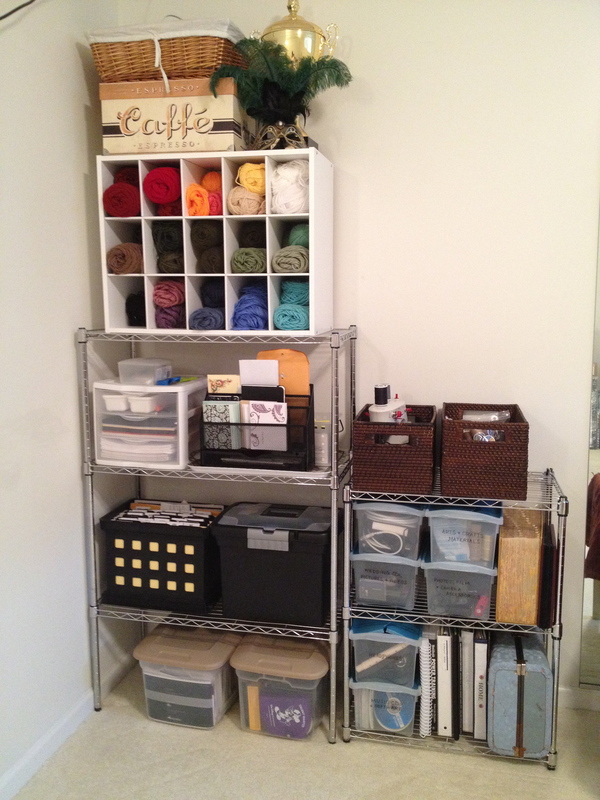 Then…I blogged about it. Seriously, I am ON FIRE.